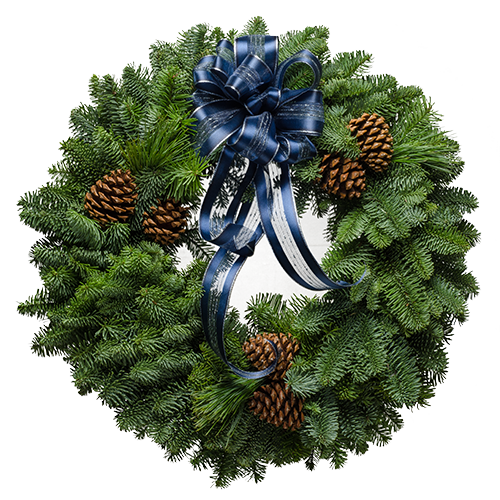 Cerulean - from a Latin word meaning "sky like", this opulent Christmas wreath was originally created as a special request item, but quickly became one of our most popular wreaths. The rich, striking blue ribbon also makes it a fantastic outdoor complement to blue Christmas light displays! Order this wreath for a delightfully fun change in color. "Thanks to Sheri at Christmas Forest for a lovely job of creating a fresh fragrant wreath for me. It was sent to me by my cousin and now graces my front door. Good job, Sheri!"